When things go wrong in our lives we automatically look for people to blame other than ourselves. It’s human nature. We look for people or groups to villainize and blame for our woes. Today’s economic strife is no different. There is tremendous pressure to find people to blame for the mortgage meltdown and the need for financial bailouts of irresponsible companies. Recently, we have seen the former Chief Executive Officers (CEOs) of AIG and Lehman Brothers testify before Congressional committees on whether they perpetrated a fraud against their investors and the public with respect to their collapse. Right, wrong, or indifferent, these CEOs have been made out to be villains and fall guys in this sad case. Short sellers, or people who bet on stock price reductions, have also recently come under scrutiny for having a hand in the global markets’ downfall. Over 870 financial companies were temporarily barred from being sold short in an effort to prop up their stocks from continual decline over the past month. But, short sellers are needed to stabilize the economy and provide checks and balances to our financial system. They have had a hand in the decline of the markets, but they are not the root cause and should not bare a majority of the blame. Market Makers. James Chanos, a famous short seller, said that short selling brings share prices back to their fundamental levels and creates a balance throughout the markets. Short selling decreases the likelihood of market bubbles and makes the markets more efficient, bringing liquidity to the financial system. Early Alarms for Fraud. Short sellers were the first to raise questions and concerns about Enron’s business practices. Short sellers will not make a good company worse. There will always be buyers for a fundamentally good company at some price. 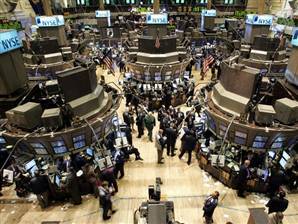 The problem occurs when there are not buyers of a particular company’s shares of stock. Bulls must enter the market at some point to stop the share price from continuing to fall. Short sellers do not destroy companies, bad companies destroy themselves. Protectionism. Banning short selling from bad financial stocks cannot protect the stocks of poorly run companies. Banning short selling is a lot like imposing tariffs on certain commodities. Prices for goods continue to artificially stay up and jobs are not immediately lost, but the protectionism hurts the economy as a whole. The stock prices of companies affected in this market downturn are depressed by the lack of buyers. Short sellers are definitely unpopular. There is something fundamentally against the American psyche to bet against the “house”, bet against economic growth, or against the prosperity that we all desperately want for ourselves and our children. But, the market needs short sellers. Like snakes that eat the rats that eat the corn, short sellers serve an integral part in our economic landscape. Banning short selling even temporarily sets a bad precedence for future financial leaders to follow. There is no easy way out of this situation, and the economy needs to run its course without anymore government intervention.